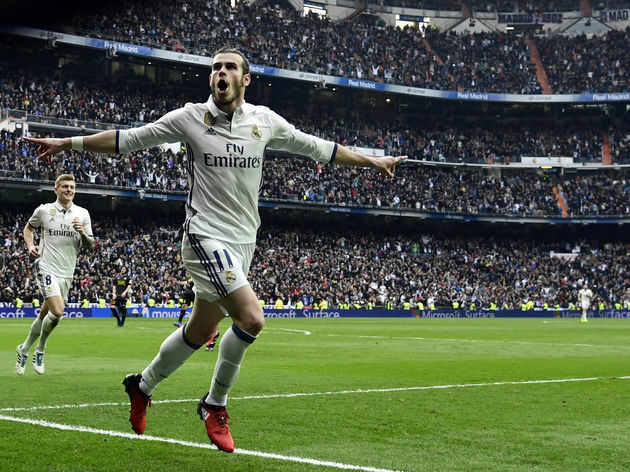 Video uploaded by YouTube channel eXtra Soccer Highlights showcases all the goals and highlights from Real Madrid’s 2-0 win at home against Espanyol in their Liga BBVA encounter at the Santiago Bernabeu. Real Madrid’s goals were scored by Alvaro Morata and a returning Gareth Bale. With his goal, Alvaro Morata increases his goal tally to seven league goals in the Liga BBVA this season. Because of their win, Real Madrid maintain their position at the top of the Liga BBVA table with 52 points while Espanyol remain in ninth place.